While on a call, you can put the customer on hold or mute your microphone so that you can consult with another agent or track down other information. 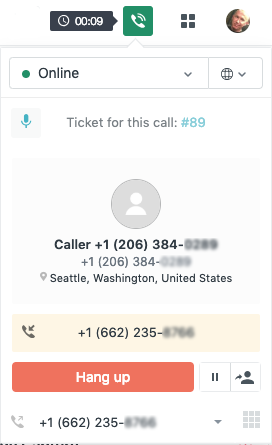 Click the pause button on the lower-right side of the call console. While on hold, the customer hears the on-hold music and you hear a beep every 15 seconds. Click the pause button again to take the customer off hold. Click the microphone icon in the call console.